Two owners of clothes factories based in the building that collapsed on the outskirts of Dhaka in Bangladesh have been arrested. Mahbubur Rahman Tapas and Balzul Samad Adnan –the owner and managing director of New Wave Style, the largest of the five factories in the collapsed Rana Plaza building – surrendered overnight to the Bangladesh Garment Manufactures & Exporters Association and were handed to police. They are accused of repeatedly ignoring warnings about the safety of the factory complex and forcing their employees to continue working. Two engineers involved in designing the complex in the non-industrial Savar zone on the outskirts of the capital were also arrested at their homes early on Saturday for ignoring the same warnings after cracks were spotted in the building on Tuesday. The arrests on Saturday came as the death toll rose to 352. Rescue workers pulled another 29 people to safety on Saturday after locating another 40 deep under rubble. More than 3,000 workers may have been inside the building when it collapsed and police believe as many as 900 are still missing. Sohel Rana, the owner of the eight-storey building – which officials said had been built illegally – is still on the run. Police said several of his relatives had been detained to pressure him to hand himself in. An alert has also gone out to airport and border authorities to prevent him from fleeing the country. The Rana Plaza complex housed factories that made clothes for western companies, including the British high street retail chains Primark and Matalan. In London on Saturday, protesters demonstrated outside Primark’s store in Oxford Street to demand compensation for the victims of the Dhaka building collapse. Speaking outside Primark’s Oxford Street store in central London, Murray Worthy, from the campaign group War on Want, said: “We’re here to send a clear message to Primark that the 300 deaths in the Bangladesh building collapse were not an accident – they were entirely preventable deaths. Sohel Rana is a local politician connected to the ruling Awami League and reportedly used retainers to intimidate workers who refused to enter the ill-fated building on Wednesday morning. An alliance of leftwing parties, which is part of the ruling coalition, said it would call a national strike on 2 May if all those responsible for the disaster were not arrested by Sunday. 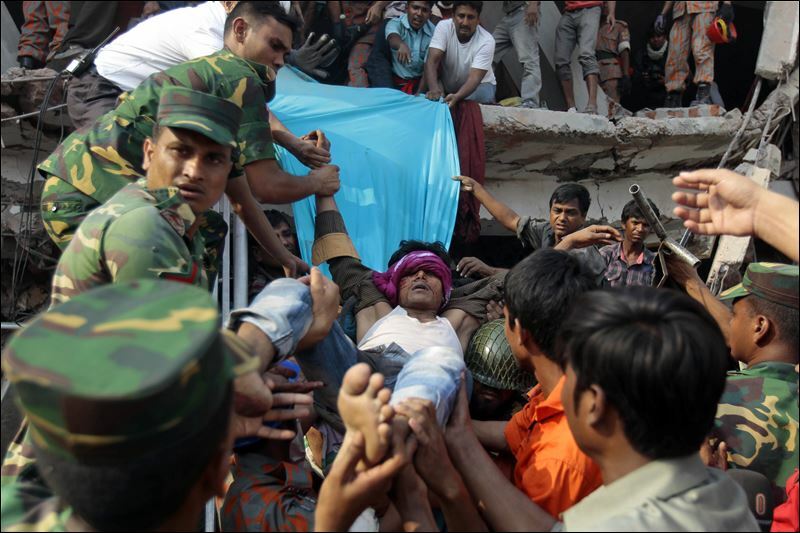 Wednesday’s collapse was the third major industrial incident in five months in Bangladesh, the second-largest exporter of garments in the world. In November, a fire at the Tazreen Fashion factory nearby the latest disaster killed 112 people. Anger over the working conditions of Bangladesh’s 3.6 million garment workers – most of whom are women – has grown since the disaster, triggering protests. Garments account for 78% of Bangladesh’s exports. Alas George is no longer here. Hundreds of people were on the streets again on Saturday, smashing and burning cars and sparking more battles with police, who responded with tear gas and rubber bullets. Eyewitnesses said dozens of people were injured in the latest clashes. Marina Begum, 22, spoke from a hospital bed of her ordeal inside the broken building for three days. Emdadul Islam, chief engineer of the state-run Capital Development Authority (CDA), said the owner of the building had not received the proper building consent, obtaining a permit for a five-storey building from the local municipality, which did not have the authority to grant it. Another three storeys had been added illegally to the complex, he said. won’t be subject to arrest. Neither will his heirs if our cor[orate owner and operatorhave anything to say about it. “The Triangle Shirtwaist Factory fire in New York City on March 25, 1911, was the deadliest industrial disaster in the history of the city of New York and resulted in the fourth highest loss of life from an industrial accident in U.S. history. It was also the second deadliest disaster in New York City – after the burning of the General Slocum on June 15, 1904 – until the destruction of the World Trade Center 90 years later. The fire caused the deaths of 146 garment workers, who died from the fire, smoke inhalation, or falling or jumping to their deaths. Most of the victims were recent Jewish and Italian immigrant women aged sixteen to twenty-three; of the victims whose ages are known, the oldest victim was Providenza Panno at 43, and the youngest were 14-year-olds Kate Leone and “Sara” Rosaria Maltese. Because the managers had locked the doors to the stairwells and exits – a common practice at the time to prevent pilferage and unauthorized breaks – many of the workers who could not escape the burning building jumped from the eighth, ninth, and tenth floors to the streets below. 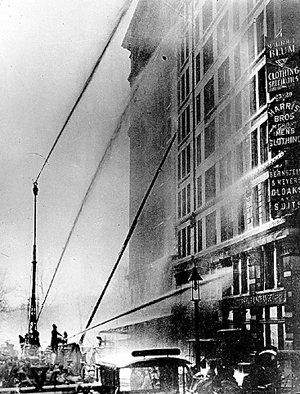 The fire led to legislation requiring improved factory safety standards and helped spur the growth of the International Ladies’ Garment Workers’ Union, which fought for better working conditions for sweatshop workers. 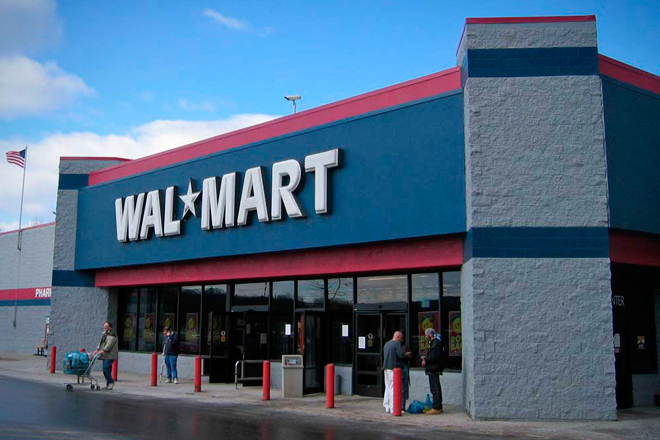 Working conditions our Corporate Overlotd and their Republican lackeys long to return us all to.